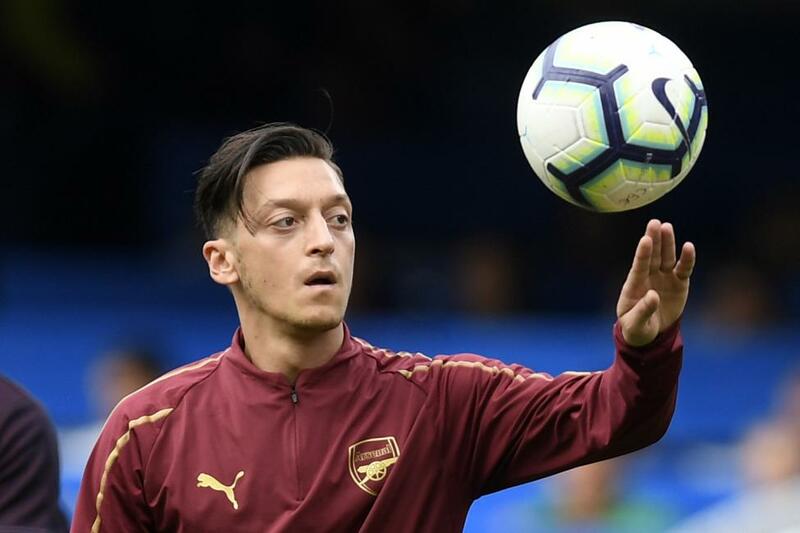 Mesut Ozil hit a brilliant strike off of the far post to help Arsenal beat Leicester City on Monday at Emirates Stadium in London. The German striker scored the goal in the 45th minute, tying the score at 1-1 in the Gunners' 3-1 triumph. Ozil dashed down the field, dribbling the ball at a blazing pace before sending a pass to the right side and finding Hector Bellerin. Bellerin immediately sent the feed back into the box for a give-and-go with Ozil. The Gunners star used his first touch to send the ball toward the left post with his left boot. The shot tapped off of the post and bounced into the net, beating a stationary Kasper Schmeichel. Bellerin was on the wrong end of a score in the 31st minute. He made an own goal to give Leicester City a 1-0 advantage. The score stayed tied through the halftime whistle before Pierre-Emerick Aubameyang scored in the 63rd minute and the 66th minute. "Mesut is a player that always keeps giving his best and is always surprising everyone and he's a player that we're very grateful and very lucky to have," Bellerin told the team website. "When the team play well with good football and he can find space he's always a killer with his passes and finishes, so for us to have a player like him in the team is very important." Arsenal battles Sporting CP in the UEFA Europa League at 12:55 p.m. on Thursday at Estadio Jose Alvalade in Lisbon, Portugal.